To Put Things In Order"
Organizing ideas you can apply in order to make a clutter-free place at the same time creating a comfortable place to stay and work in. To get organized you should start with the self as part of personal development. It can help avoid confusion, unnecessary distractions from the surroundings. 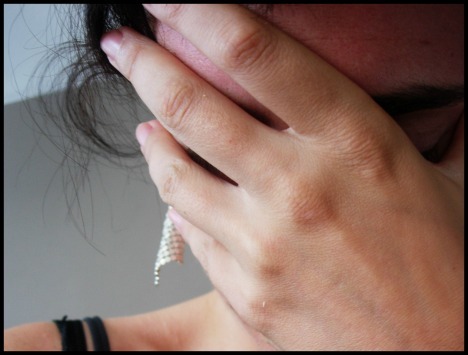 It can also help relieve stress and save much of your time by avoiding a lot of hassles. a. Shirts and top dresses with sleeves on hangers, sorted and grouped together. b. Bath, hand and face towel, etc. on top sorted by size and function. c. Pants such as slacks, jeans and other bottoms including pajamas and socks below in baskets and bins by category. Having well arranged, clutter free and sorted clothes in the closet cabinet will make it easy for you to find the clothes you need when you need to go anywhere or simply staying at home. 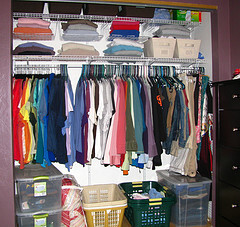 Organizing ideas like this will save you a lot of time choosing your clothes and not misplacing them. It is more motivating to work in the kitchen when it’s clean and when cooking instruments and ingredients are in the right place. After all, this is the place where we prepare what we eat. Here are some ideas for your kitchen to avoid the mess and accumulation of dirt. An important practice for an organized home. a. Spices, condiments and oils lined and grouped together on racks by category. b. Pans, cooking tools and utensils hanging on the side so you can easily find and put what you need on the stove. c. Other cooking machines like the toaster and micro-wave oven sided along with the stove for an easy optional method when cooking. Organizing ideas for the kitchen will make it easy for your morning routine when preparing the rest of the day. Ideas for organizing the pantry so you and your kids can easily grab some snacks or instant foods anytime when watching TV or simply relaxing around the house. a. Group foods like spreads, syrups and other flavorings together. b. 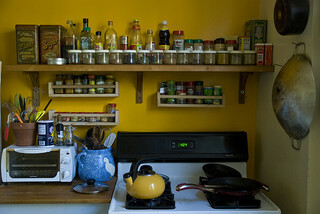 Place canned goods and other quick cooking instant foods together. c. Put liquid drinks such as juices, sodas and energy drinks by groups in a single layer. d. Group ready to eat foods like breads, chips and other packed snacks together. 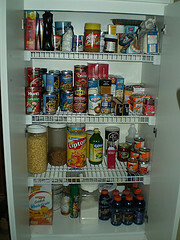 To get organized with your foods is one timesaver you can do so it will be easier to pick up the food you need and other people in the house won’t have to disturb you when looking for something they want. These organizing ideas will avoid the clutter of food lying around tables, drawers, counters, plastic bags or anywhere around. An organized home should make things neat and orderly. Equipment and things lying around the house or your place can be an eyesore and obstacle when moving around and doing activities. There are good organizing ideas for this. If you have kids at home or if someone got hobbies or recreations, it would be better to organize their things in one accessible place to avoid clutter anywhere when you’re creating an organized home. a. Assign a storage room for all equipment of personal activity. You don’t have to be a perfectionist when arranging things, you just have to put related things together. It would be easier for anyone accessing the things they need when they need it and there’s a single place to go to instead of having it placed on any space around the house. It would be more convenient for those with disorders like ADHD and Bipolar problems on doing their personal hobbies when things are in order and without seeing any clutter. Having your tools in a designated place can make it easy for you to get what you need for the right situation. This should be included in an organized home. Organizing ideas for tools such as automotive, gardening, electrical, plumbing you can do so you wouldn’t lose any of these expensive equipment you bought. a. 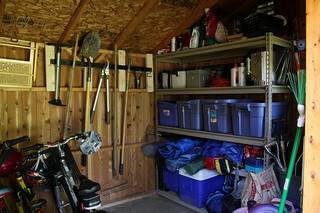 You can place your tools in a shed like this and distribute them by section and category. b. For example, don’t mix gardening tools with plumbing tools and don’t put them anywhere in the shed, it will create clutter as you buy more tools. 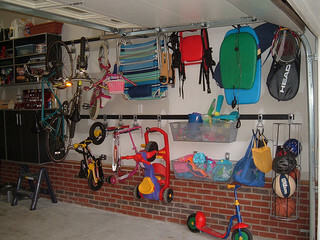 Organizing ideas like this for tools, gadgets and maintenance equipment can help you get things done quickly because you can quickly find what you need. Also, it would be best to keep them in containers with marks and labels to easily find what you need or place them together by category. Thinking about organizing ideas, your bedroom is your most private area in your house and it is your main place for relaxation. It is essential for an organized home to remove the clutter in your room and clear your mind as you get rest. Since most people think that they can do anything in their bedroom. Whatever its condition is, it can affect you depending on the atmosphere it creates. a. Store your clothes inside the closet, arrange them well. b. Put things inside cabinets and drawers. c. Avoid things lying around the floor which can make clutter and mess. d. Place picture frames, trophies, gadgets and other important things neatly on cabinet sections or on tops. e. Arrange your bed properly. Put the pillows on top of the head place, fold the bed sheets or comforter equally and cover the whole bed. 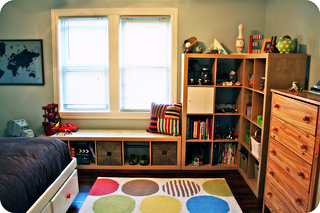 Organizing ideas making a well arranged room can give a good "ambiance" and feeling to the person staying in it. It can help avoid sleep deprivation and promote an effective recovering atmosphere for anyone not feeling well. As your most personal space you should give time for organizing it, you can use a monthly planner to designate days for arranging things on every place you go and do things. If you’re the fashionable type, you might have many jewelries and beauty accessories for your get-up. If your things are not kept well it could cause clutter in your cabinet or drawer. When making an organized home, these accessories and valuable items should be kept properly and safely so it won’t get mixed-up with each other at the same time avoid losing anything. 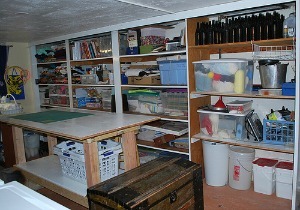 As you get organized simple organizing ideas can very helpful. a. You can use trays or boxes for each item such as necklaces, earrings, bracelets, rings, pins and anklets. b. Store each type together by groups inside a cabinet which you can lock. c. It would be better if your cabinet has small sections inside so you can make priority on your items and easily remember where you’ll get what you need anytime. Placing things properly in the right storage and grouping them does the job! 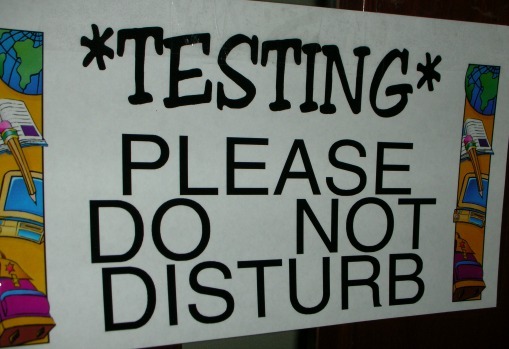 Any house or workplace keeps plenty of readings and other reference materials. However, it could end up lying up anywhere or stacked up on tables, chairs, counters or even on the floor which creates an atmosphere of clutter around. a. Provide enough space in your place where it will not create any obstacle for anyone passing by. b. 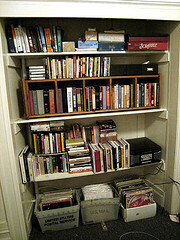 Put a cabinet shelf with several layers for lining-up reading and reference materials. 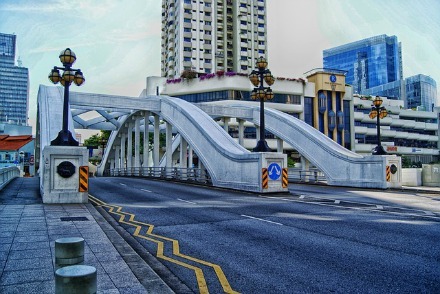 c. Books, booklets and other readings should be put by division in volumes and titles. d. Stack related references together. Magazines and comics should not mix with books, etc. e. You can add trays below for additional storage and segregation. Part of any organized home or office is the orderly keeping of these informational materials. These references can be needed anytime when the situation calls and good organizing ideas will make it convenient for you to find the right book or material to use. To get organized can make it easier for you in the long run. Your workplace like your office can be your most important area for your job so it would be of great significance if you’re able to do your work effectively with less stress. Clutter and mess in your work area can cause you confusion which can waste your energies which should be spent instead for your personal productivity. Applying organizing ideas on every activity that you do will affect the efficiency of your work and health condition. a. Make your desk as clear as possible so you can easily conduct work without any distractions and obstacles. b. Put your notes like to-do lists on the sides of your desk, placed properly so you won’t forget the things you need to do such as tasks, meetings, memos and other reminders. c. Store your files, folders and documents in a file cabinet, put labels and names so you know where to look for whatever you need. 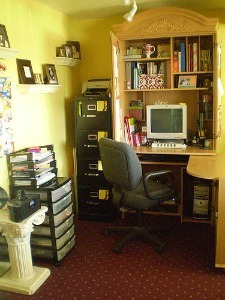 d. You can use some trays for papers, envelopes and files needed to be read, studied and processed. e. Stacked drawers can be used to store office equipment such as pens, pencils, scissors, staplers, tapes, etc. f. Arrange other reference materials and displays like pictures and inspirational figures on top of the work desk where it cannot interrupt your work. Being able to work with good momentum and efficiency promotes personal progress and effective leadership skills. Your hobbies and recreation is next important to your job activities as part of work-life balance. While you can do anything you want with your spare time it would still be better to get organized where you do things in order to keep an appetizing environment to enjoy creative activities. a. Keep a wide desk, clean and clear as possible so you’ll have ease when working on anything you can think of. b. Put cabinet shelves at the side of the room with layers so you can line-up the tools that you need. Group them together to avoid confusion and loss of something. c. Avoid items lying around especially on the floor which can form clutter when accumulated. Keep them instead in containers such as boxes, baskets, pails, trays, etc. d. Display your tools and materials where you can easily see and identify them so you can easily remember and get what you need. In an organized home, clutter should be eliminated in the recreation area so you can work better with a clear mind which adds to ease and personal relaxation. To get organized, avoiding clutter in your place and anything that you do takes personal adjustment. The use of good organizing ideas can make everything work out for the better and it will save you time and avoid much frustration. Effective organizing ideas also promote a positive mood to any person with his/her activities.